Mary began her painting career in Detroit, Michigan where she achieved early recognition for her artistic talent. She studied at the prestigious Jean Henry School of Impressionist Art in San Francisco and more recently apprenticed with Jerry Stitt, renowned A.W.S. member. 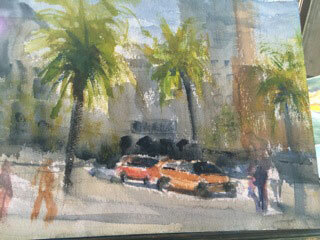 Greenberg’s work has been featured in art galleries in Sausalito, Tiburon and Mill Valley & Houston, Texas. Collectors of Greenberg’s artwork are from the San Francisco Bay Area as well as throughout the United States, Tahiti and France. 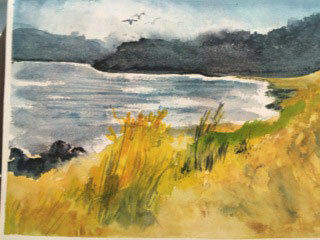 Recent work in watercolor reflect the artist’s love for nature with beautiful scenes in Marin County and from her international travels. Viewers enjoy the serenity, natural beauty and inspiration found in these paintings. They would make wonderful holiday gifts!! Hope you enjoy them. 10% of sales will be donated to Celebrate Life Breast Cancer Foundation.